Check out this gently-used 2013 Ford C-Max Hybrid we recently got in. Everyone hates the gas pump. Skip a few gas stations with this super fuel efficient FordC-Max Hybrid. The incredibly low mileage and painstaking upkeep on this Ford C-Max Hybrid makes it a once-in-a-lifetime deal that won't last long! Call us today to reserve your test drive! More information about the 2013 Ford C-Max Hybrid: With the all-new C-MAX, Ford has given the hybrid world a shot in the arm. The C-MAX is a stylish alternative to more established players like the Prius, and its combined 47 mpg fuel efficiency will take you far. Even better, after a generous federal tax credit, the Energi plug-in model is the most affordable plug-in hybrid in America--besting high-efficiency competitors such as the Chevy Volt, Nissan Leaf and Toyota Prius plug-in. 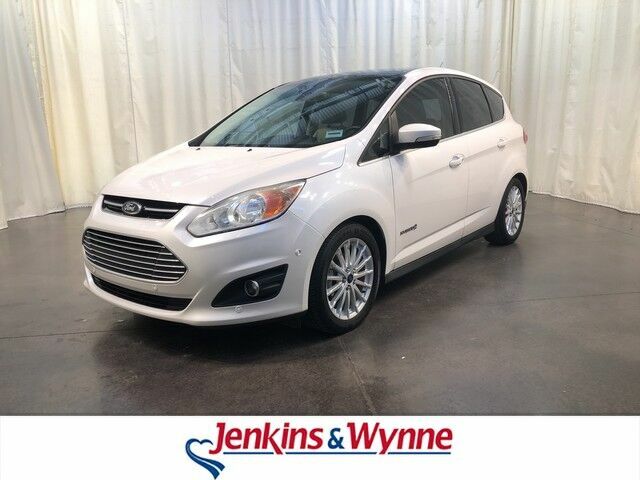 Interesting features of this model are small car styling with lots of interior space, competitive pricing, and Excellent efficiency and power from both the hybrid and the Energi plug-in hybrid models TEXT: 214.914.1866 CALL: 931.538.7505 EMAIL: Sales@JenkinsAndWynne.com. Our pre-owned come w/ an oil change, windshield wiper fluid check, 50k mile compression check, atleast a 32pt inspection sheet, the AutoCheck vehicle report, and a 12month/12k mile power train warranty (on a vehicle w/ 80k miles or less/10 years or less/ excludes Diesels, also excludes Bargain Corral Vehicles). This is already over a $200 savings to you! Jenkins & Wynne has been proudly serving the Clarksville area since 1953! This 2016 Ford CMAX is a 4 door 2.0L front wheel drive hatchback! This beauty has tan leather interior with heated front seats, back up camera, touch screen audio system, Sirius XM radio capabilities, hands free talk, Navigation, CD player, push button start and MORE!